We were very pleased to once again be in attendance at Converge Challenge Awards dinner on September 19th. Acting as the design and marketing partner for the programme, we help to advise a range of new start-ups coming out of Scottish universities on their branding and communications. The Converge Challenge is a high profile, pan-Scotland company creation competition and entrepreneurship development programme for staff, students and recent graduates of all Scottish universities and research institutes. Started in 2011, the programme has attracted over 260 applications and engaged with 120+ projects, from which around 30% went on to create companies. 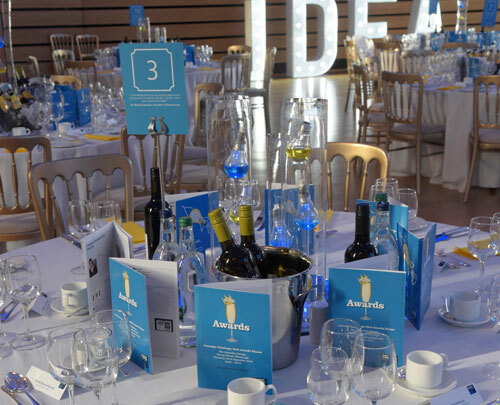 For the first time ever, the top prize this year was split between two companies – MindMate (apps to help those with Alzheimer’s and their families) and MicroSense Technologies Ltd (a sophisticated new food and drink monitoring solution). The first place prize includes creative services from us at Morton Ward, and as an official partner of the Converge programme, we will work with both of these fantastic companies to help them improve their communications and marketing. The event itself was a fantastic night as always, with over 220 in attendance and several brilliant guest speakers providing inspiration and insight to the winners and runners up alike. It’s a pleasure to sponsor this prestigious programme and support up and coming entrepreneurs and innovators from Scottish universities, and we look forward to being a part of it again next year.